Indian Food has no serious contender when it comes to flavors & satisfaction. 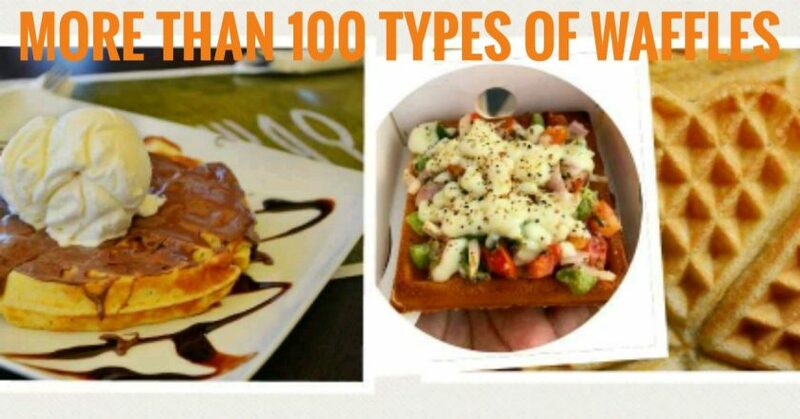 When we talk about regional food, every foodie would definitely appreciate wide variety available in our country. 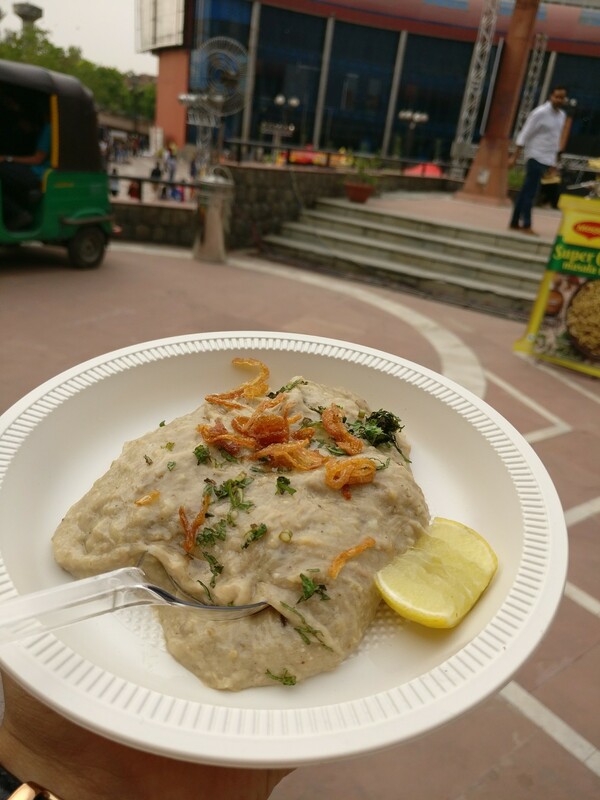 Celebrating this diversity of flavors, the Masalas of India Food Festival took place at the re-imagined Ansal Plaza mall of South Delhi, several days back. 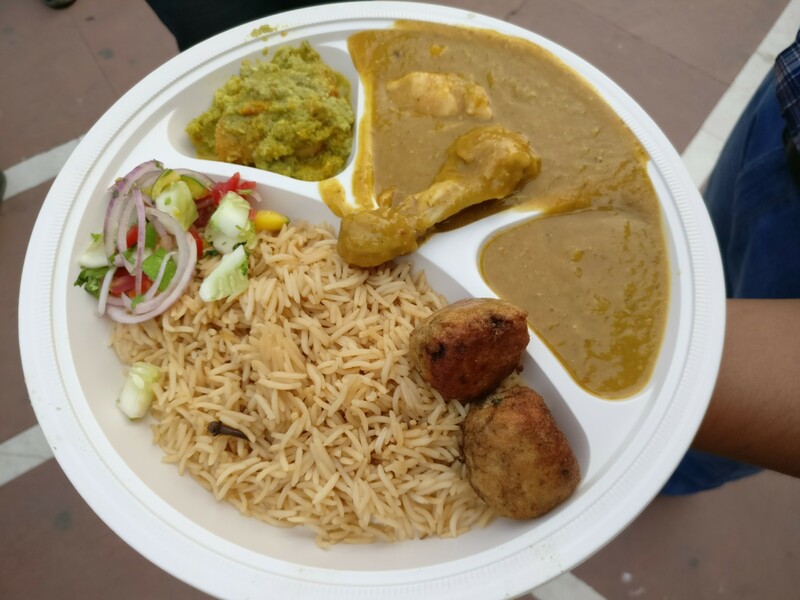 From Lucknow’s Galoutis to Kashmir’s Yakhni, the festival witnessed a participation of stalls & restaurants representing their respective culinary ethnicities. 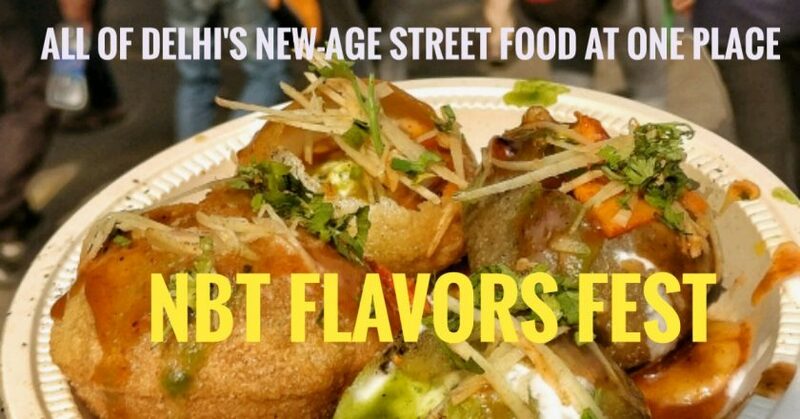 Powered by SoDelhi & GoBuzzinga, the festival was also a launch platform for 4 new regional flavors of our favorite instant noodle, Maggi (the new flavors were available for free tastings all throughout the festival). 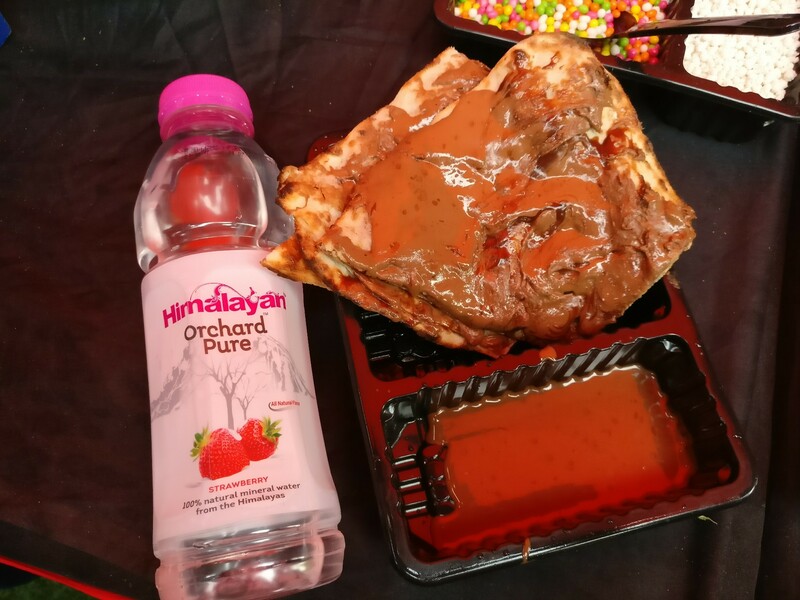 Not only was the festival full of extremely tasty dishes from all over India, it was also the time to enjoy the wonderful Himalaya’s new Flavoured water range which was available in 3 variants namely, Peach (our favorite), Apple and Strawberry. This range provided a respite to all the thirsty foodies as they explored the humongous number of regional food options. The 100% natural flavored water packed in a sweet burst of refreshment while retaining the quenching quality of any bottled mineral water (we ourselves are guilty of gulping down an uncountable number of peach flavored Water). 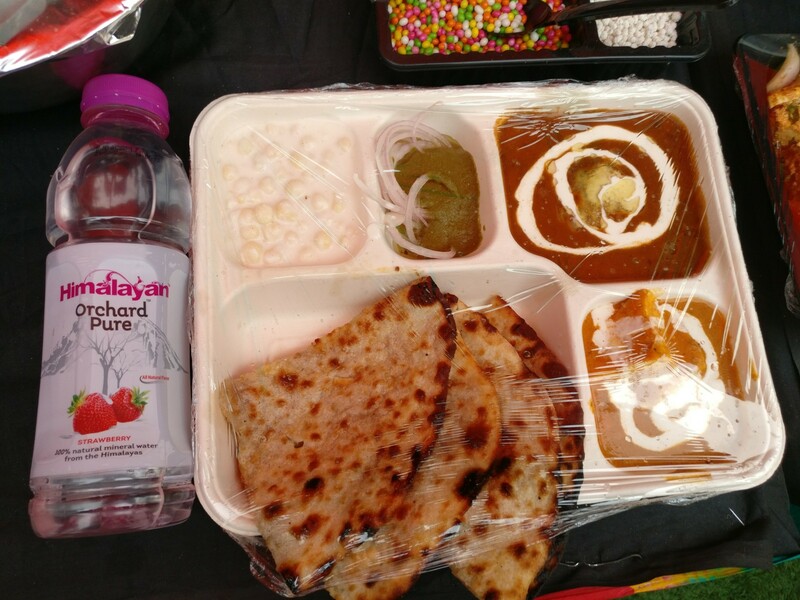 Having talked about the wonderful FMCG products, it is now time to take you through a quick gallery of delectable dishes that we ate at Masalas of India (not to mention the excellent quality of ingredients & quantity of dishes at most of the stalls considering the mercury wasn’t in the best of its forms). From Amritsar’s streets, the Ambarsar Junction brought with it, a culinary treasure in the form of the brilliant Butter Chicken, Mutton Tikkey and the dish that needs no introduction, the famous Brain Curry. Desee Dakshin’s Veg Stew was as tasty as the one we had while dining in their outlet in Rajouri Garden. Coastal Food at its best. 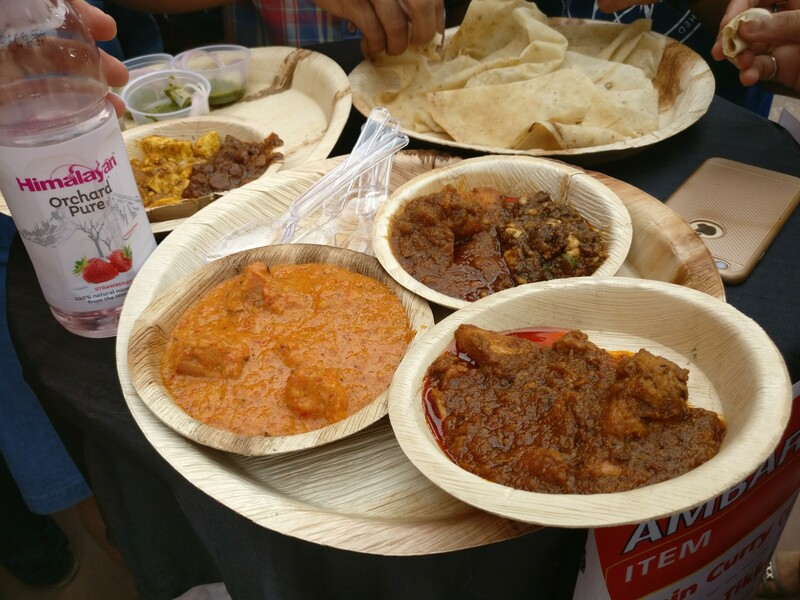 Chicken Chettinad from Rakesserie’s stall was a lip smacking southern delight was so good that our palate couldn’t stop asking for more of it. 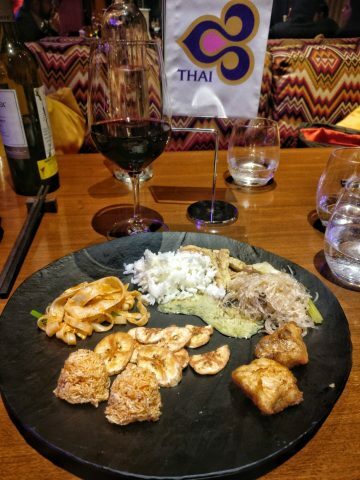 The owner couple’s passion and love story added just another dimension to the wonderfully cooked food. The Biryani Co. needs to be thanked for bringing a Haleem so good to Delhi that the connoisseurs called it to be the closest version of the authentic Hyderabadi meat & lentil flavor bomb. Chocolate Naan? Only Punjabis can think of such a dish and boy, it was indeed very delicious. Enjoyed at the Kake Di Hatti Stall. We also loved the Mutton Vindaloo at the Peninsular Kitchen. Some Parsi Delights in a single Platter from Bagli’s Kitchen. The decor of the Masalas of India Food Festival was as happening as the thumping and soulful Live Music. The vertical garden made for the perfect selfie corner (most of the ladies made this area their haven). The festival witnessed a humongous attendance reminiscent of the Food Truck Festival that took place a couple of months back. 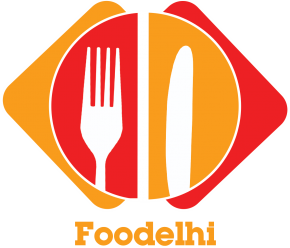 Kudos to SoDelhi & GoBuzzinga for bringing together another culinary & music fiesta for us Delhi-ites. We will definitely be looking forward to the next edition.